As you well know, brakes are one of the most essential safety components of your car—making brake maintenance and upkeep crucial. Today’s cars in particular have many parts and hydraulic mechanisms that need replacing on a regular basis. 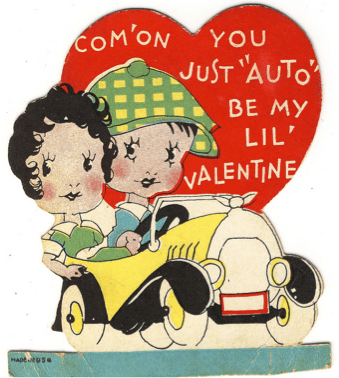 So, in the midst of all the romantic fervor this February, make a date with your brakes for some preventative maintenance. Avoiding brake maintenance today will only cause many headaches and costly repairs down the road. Below are a few of our suggestions that will make your brakes last longer and save you money in the long run. Keep Up with Maintenance—Preventative maintenance is your best friend. Perform it regularly, and avoid damaging expensive parts. Make sure you remember to replace your brake fluid according to the manufacturers’ suggested schedule. Failing to do so could cause damage to your brake lines, calipers and your proportioning valve. Replacing those parts will cost you over $1000, whereas bleeding your brake system will cost significantly less. Use Quality Parts—Name-brand parts might be more expensive, but they last longer. If you have to buy a cheaper part 3 times to last as long as its name-brand counterpart, you’re not really doing yourself any favors. Change Your Driving Habits—One of the best ways to save money on your brakes is to change the way you drive. By simply slowing down earlier, avoiding abrupt stops, and not riding on your brakes, you can increase their lifespan significantly. Ask if Your Calipers Can Be Rebuilt – If it’s already too late for your brakes, and you need a new caliper, ask if it can be rebuilt. The parts needed to rebuild a caliper cost around $30, whereas a new one will cost over $100. Use these tips and you’ll have a long and healthy relationship with your brakes. As always, if you have any questions or are in need of some brake maintenance, visit our website or give us a call!